Retailers are Looking at RFID to Improve Supply Chain Visibility and Inventory Management. 2017 is looking to be a big banner year for RFID technology. The powerful benefits of RFID technology have been touted for years. But for years, it was embraced slowly by retailers looking to test and experiment with the seemingly fringe technology. Now, there’s statistical evidence that proves RFID has some serious momentum as it further entrenches itself into retail. But, in recent years the need to improve supply chain efficiency has become a major need for retailers looking to compete with the likes of Amazon.com. More people than ever are buying online, returning online, buying online and picking up in store, and so forth. Customers expect to be able to browse merchandise on their phone or laptop, buy it anywhere, and get it in their hands fast. To be able to accommodate the demands of the consumer, retailers need complete supply chain visibility. That’s where RFID technology comes in. RFID gives retailers the ability to track pallets wherever they go. They can even track items as they’re sold on the floor. This affords retailers the ability to be more efficient in inventory replenishment and improve loss prevention efforts right on the sales floor. In short, with the need for major inventory management and supply chain improvements, RFID’s adoption rate has been progressing quickly. But, don’t take my word for it. Here are five stats that really show how RFID will take off in 2017. According to Auburn University’s RFID Lab 2016 report, 96% of retailers have plans to start tagging apparel with RFID. 96% of retailers have plans to start tagging apparel with RFID. The most prominent research institution for RFID technology is the Auburn University RFID Lab. They recently published a very encouraging set of statistics for RFID adoption. There is a lot to conclude from in this report, but the big takeaway is that RFID adoption is truly taking off. According to Auburn University’s 2016 State of RFID Adoption Among U.S. Apparel Retailers, 96% of retailers had plans to deploy the tags on their apparel products. RFID’s adoption numbers are undoubtedly increasing steadily. Major retailers such as Target, Kohls, and Macy’s have begun to scale their initiatives as the benefits of RFID begin to develop. And, even retail brands are enjoying the benefits of RFID such as Lululemon, Levi’s, and Adidas. The 2016 study reveals a pattern of movement expected in a healthy adoption environment. Overall, growth from 2015 to 2016 (32%) exceeded the previous year’s growth (23%). There are several indicators suggesting adoption growth should be strong in 2017 as well. For the last several years, Macy’s has been quite vocal in touting their RFID successes and continuing initiatives. In 2011, Macy’s begin item-level tagging of in-store items into 850 stores. Since their initial implementation, Macy’s has enjoyed a 95% inventory accuracy at the distribution center. And, in 2016, Macy’s announced their intent to implement RFID into their stores in a big way. By the end of 2017, Macy’s plan so to have all in-store items RFID tagged. Even at the retail level, the benefits of RFID are well documented. According to Retail Wire, The use of RFID tags improves inventory accuracy by 32% and decreases out of stock item incidents by 50%. As a result, sales increase by 18%. 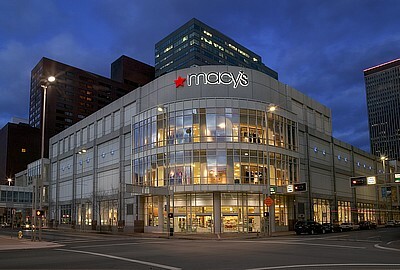 If these numbers hold true, Macy’s is in store for another big RFID win. Bill Connell, Macy’s senior VP of logistics and operations, says Macy’s plans to have 100 percent of all items in every store tagged by the end of 2017. Recent data shows that current inventory accuracy at the stock-keeping unit (SKU) level is about 65 percent. RFID can get it up to 95 percent or better. RFID can lift Inventory Accuracy up to 95 percent or better. Today, RFID has never been more accurate or consistent. And, more types of products than ever are able to benefit from all the capabilities RFID provides. According to RFIDJournal.com, inventory accuracy at the stock-keeping unit (SKU) level is about 65 percent. RFID can get it up to 95 percent or better. And this is true for a wide variety of retail items including luxury goods, jewelry, and high end liquor. RFID technology is reaching further than ever in terms of implementation and feasibility. In 2015, Target made big news by announcing plans to implement RFID into their supply chain. Their goals, as laid out by Target’s Executive Vice President, Global Supply Chain and Operations, Keri Jones, were to improve in-store inventory accuracy, inventory replenishment, and online order fulfillment. Since then, Target has upped their RFID usage, as it it began tagging all apparel and home goods products in spring 2016. As of 2016, Target rolled out its RFID program to more than 1,600 stores, and utilized more than a billion RFID tags. There is no doubt, Target sees the investment into RFID as a real way to achieve their inventory management goals. 2017 is looking almost certainly as a year trending up for RFID. And, if this trend continues, expect to see your pallets, boxes, and individual items RFID tagged. And, when that happens, you can’t say we didn’t give you the heads up!